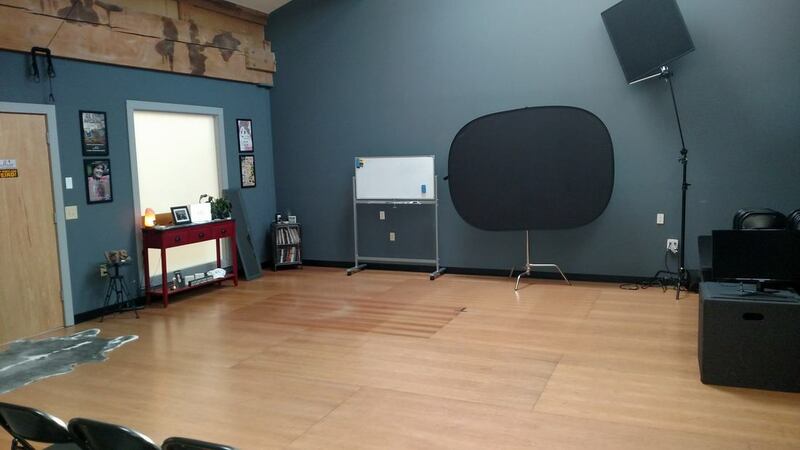 Looking to Rent a Studio Space? 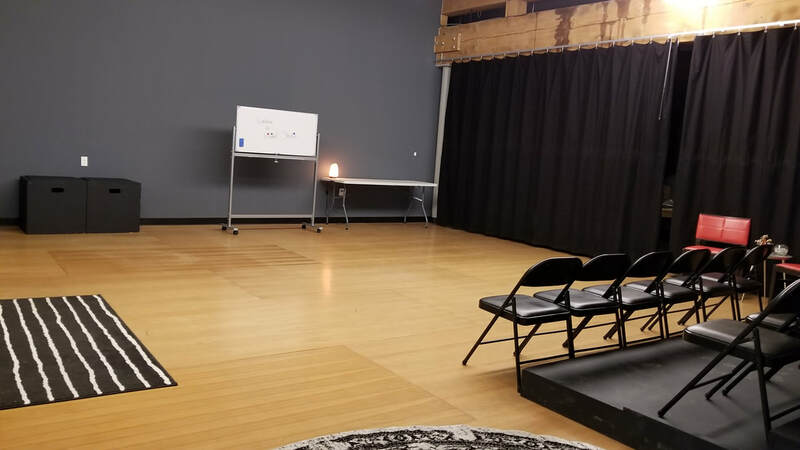 Our beautiful studio in the St. Johns Neighborhood of North Portland is the perfect space to host an event or to use for your rehearsal, acting workshop, yoga class, casting session. 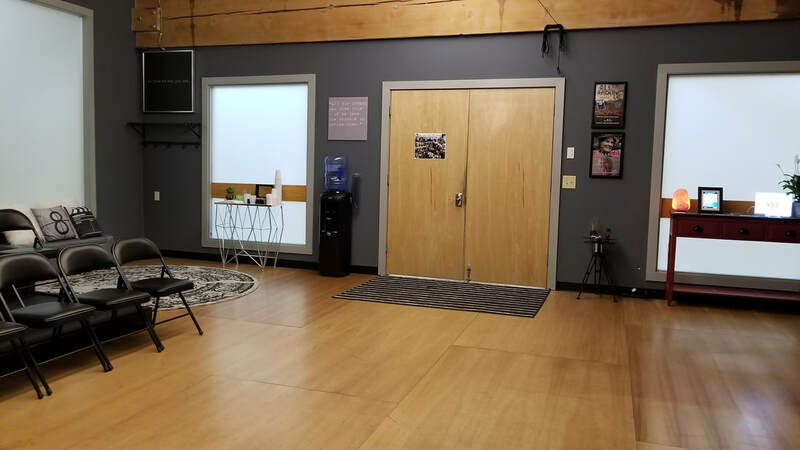 Access to our mini kitchen, water cooler, 55" TV with HDMI connection. 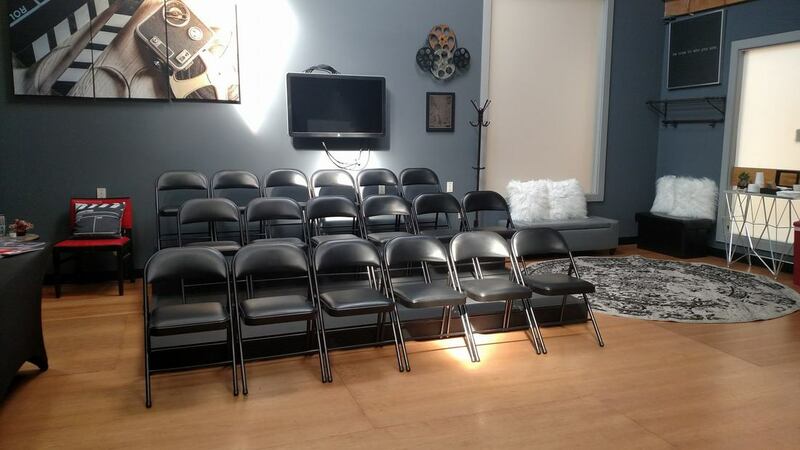 32 padded chairs and (2) 6' tables. 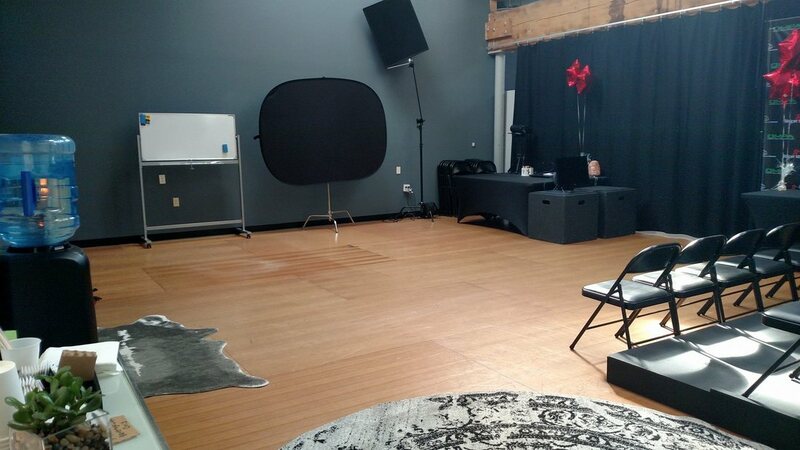 Our studio has free parking and there is also a waiting area in a hallway perfect to hold auditions. $30/hr - 3 hour minimum. $100 refundable deposit.